New York Giants quarterbacks, rookies, and select veterans reported to summer training camp last Sunday. The rest of the players reported today. Also, the first rookie practice open to the press (but not public) was held today. The first full-team training camp practice and the first practice open to the public will be held on Thursday. The complete training camp schedule is available at Giants.com. The New York Giants simply can not get rid of Tom Quinn. It appeared that the Giants had finally parted ways with Quinn, who served as the team’s special teams coordinator from 2007 to 2017, when they hired Thomas McGaughey to replace him in January 2018. But McGaughey has a medical issue and Giants have hired Quinn as assistant special teams coordinator. Anthony Blevins remains the team’s new assistant special teams coach. Ironically, McGaughey served under Tom Quinn from 2007 to 2010. Now their roles are reversed. Various media sources are reporting that cornerback Sam Beal, who the Giants selected in the 3rd round of the 2018 Supplemental Draft, will likely miss the entire 2018 season with a shoulder injury. While other options are being discussed, Beal will likely need surgery, which would end his rookie year. Beal aggravated a pre-existing shoulder issue in Monday’s practice. NJ.com is reporting that Beal had shoulder surgery in February. Oddly, Beal did participate in practice on Wednesday before the injury was revealed to the public. Defensive lineman R.J. McIntosh (unknown) remains on the Active/Non-Football Illness list and did not practice. Linebacker Avery Moss (unknown) and safety Darian Thompson (unknown), who were sidelined during spring workouts, both practiced. According to The New York Post, New York Giants General Manager Dave Gettleman’s lymphatic cancer is in remission. Recent scans have come back clean. Gettleman is expected to continue to undergo chemotherapy treatments for the time being. The New York Giants have signed free agent defensive lineman Izaah Lunsford. The 24-year old, 6’3”, 310-pound Lunsford was originally signed as an undrafted rookie free agent by the Green Bay Packers after the 2017 NFL Draft. He spent all of 2017 on the team’s Practice Squad. 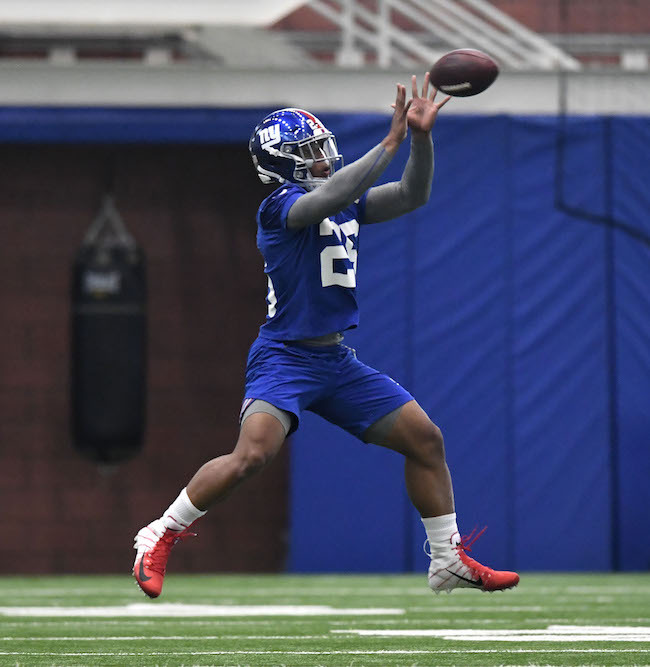 The Giants also waived punter Taylor Symmank, who the team signed in June, and tight end Kyle Carter, who the Giants claimed off of waivers from the Minnesota Vikings in January. Quarterback Eli Manning was given the day off. He did participate in the first two training camp practices on Monday and Tuesday. Veterans present included linebacker Avery Moss, safety Darian Thompson, and safety Orion Stewart. Quarterback Davis Webb made two excellent deep passes. Wide receiver Jawill Davis beat cornerback Grant Haley, but Davis let the ball pass through his hands. The Buffalo Bills have signed New York Giants unrestricted free agent linebacker Keenan Robinson,who was placed on Injured Reserve in November 2017 with a quad injury. Robinson played in six games with three starts and had 32 tackles. He missed the season’s first two games with a concussion. Robinson was originally drafted in the 4th round of the 2012 NFL Draft by the Washington Redskins, where he missed time in 2012 (four games with right pectoral tear), 2013 (entire season with left pectoral tear), 2014 (three games with a knee injury), and 2015 (four games with a shoulder injury). 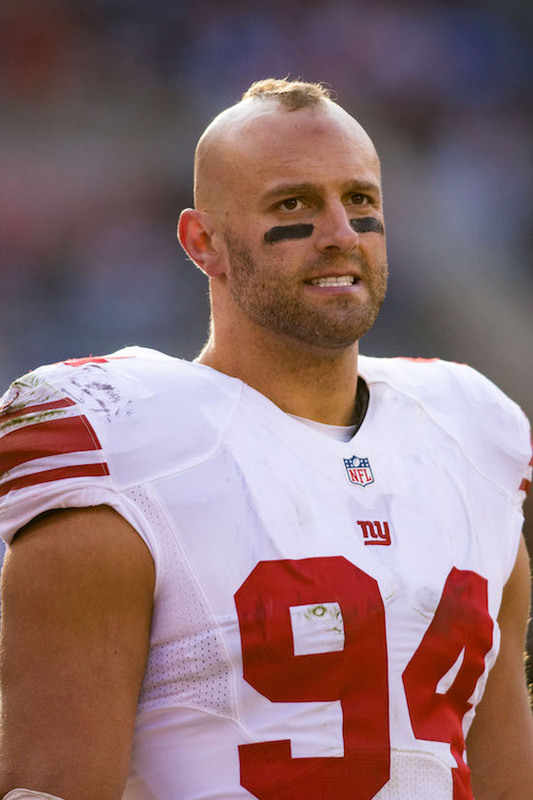 The Giants signed him as a free agent in March 2016. In 2016, Robinson officially only started 6-of-16 regular-season games, but he was second in playing time on the team among all linebackers (71 percent of all defensive snaps). Robinson finished 2016 with 83 tackles and seven pass defenses.